Reputation for durability, reliability, and quality and their exceptional service and competitive pricing, Hytrol Conveyors is one of the largest conveyor manufacturers in the world.. Innovation. Their engineers have developed highly efficient, fully-automated, computer-controlled conveyor systems. Hytrol manufactures everything from gravity roller and skatewheel conveyors, to belt conveyors and live roller conveyors, to High Speed Sortation Conveyors, and a complete line of pallet conveyors..
Extensive inventory of conveyors and conveyor accessories.. Shipped within 24 hours. All in stock conveyors and accessories are shipped directly from the factory to you. Browse our online catalog of products to view a brief snapshot of Hytrol’s product features. Download product manuals for complete conveyor specifications and maintenance information. 24-Volt Conveyor Systems are the newest, and most versatile, conveyor technology available. 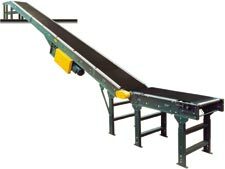 Package handling belt conveyors, simple, inexpensive, quiet, and easy to install. Inexpensive, easy to install & maintenance, simple, quiet, high performance, and minimal downtime. General transport conveyors, versatile design, quiet operation, easy install and maintenance. Ideal for pallet handling or oily conditions which are not suitable for belt driven live roller. Two and three strand drag chain conveyors designed to handle pallets. Reliable package tracking to diverter stations. Take-away spurs can be skate wheel or powered. Incline conveyors, convey items between elevations, great for between floor levels. Great for quick setup & tear down, easily stored, perfect for intermittent use and multi-purpose areas. Used in warehousing, shipping, and assembly areas and temporary conveyor lines. Miscellaneous conveyor products that don’t fit well into other categories. Complete line of Hytrol systems and equipment and conveyor parts and accessories. 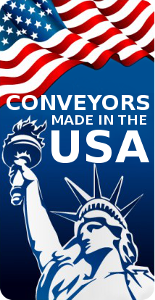 American Conveyor group, Inc., is a trusted conveyor integrator with Hytrol Conveyors. In the video below, Hytrol explains the value and advantage of their Integration Partner. 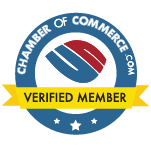 For all of your material handling solutions, choose American Conveyor Group, Inc.
To enlarge video, Click the lower right icon. Hytrol provides Material Handling Solutions that move the world. They have been at the forefront of designing, developing, and delivering superior material handling conveyor systems over 70 years. Hytrol company began in 1947. Today, they are a global conveyor industry leader. They will exceed your expectations.